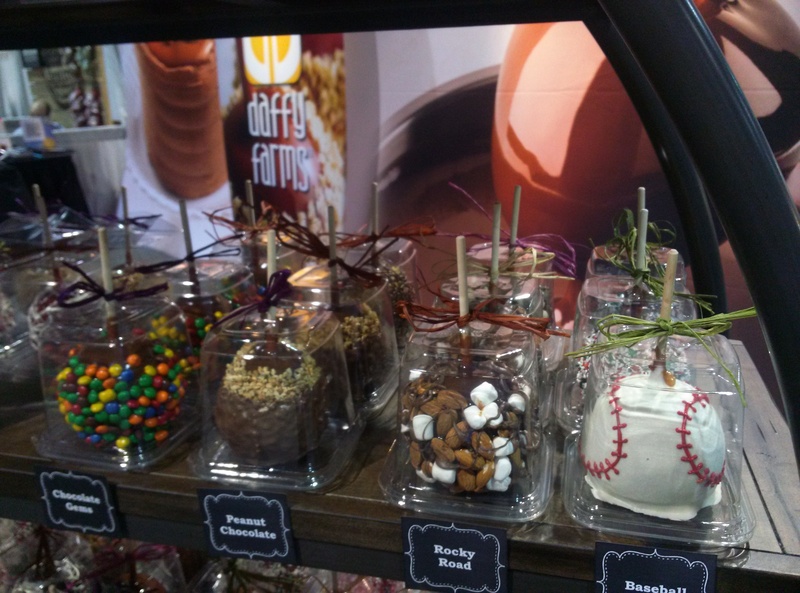 As promised in our post yesterday, IDDBA 2015: Part 1, here are some more pictures from our Daffy Farms booth at the IDDBA’s Dairy-Deli-Bake Seminar and Expo at the Georgia World Congress Center in Atlanta, Georgia! 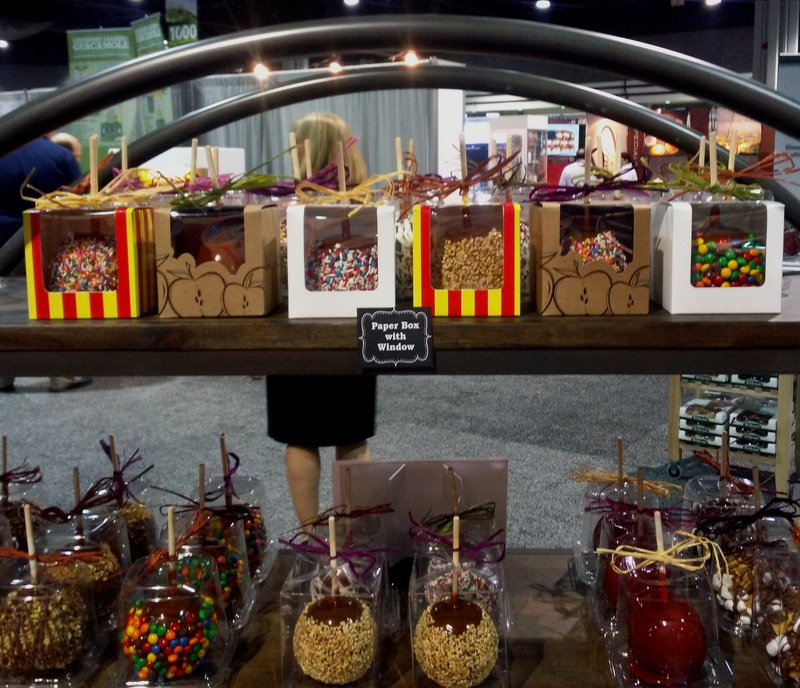 We found this fantastic round shelf that not only has an urban vibe, it reinforces the round idea of a caramel apple. 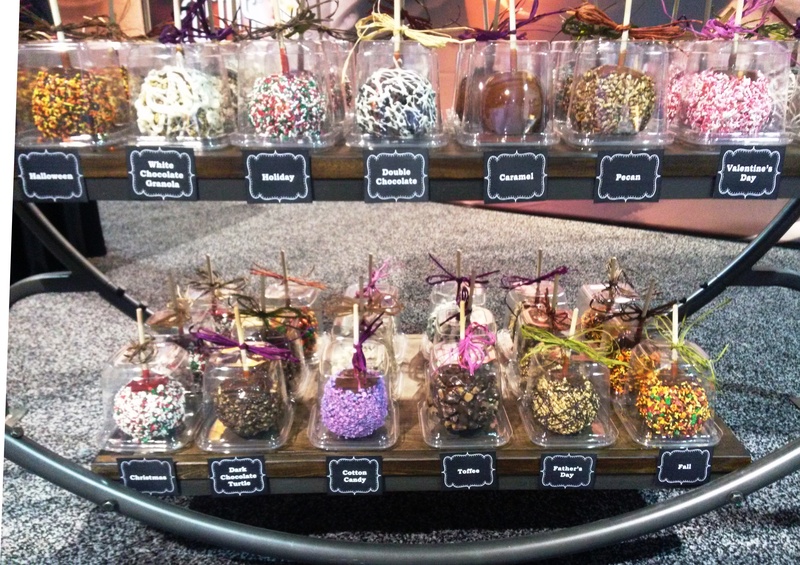 This display, full of handmade gourmet caramel apples made with our Daffy Apple Traditional Dipping Caramel, Daffy Apple Red Candy Dipping Caramel, and Daffy Farms All Natural Dipping Caramel, turned out to be quite picture-worthy, judging from how many folks stopped to snap a photo of it! 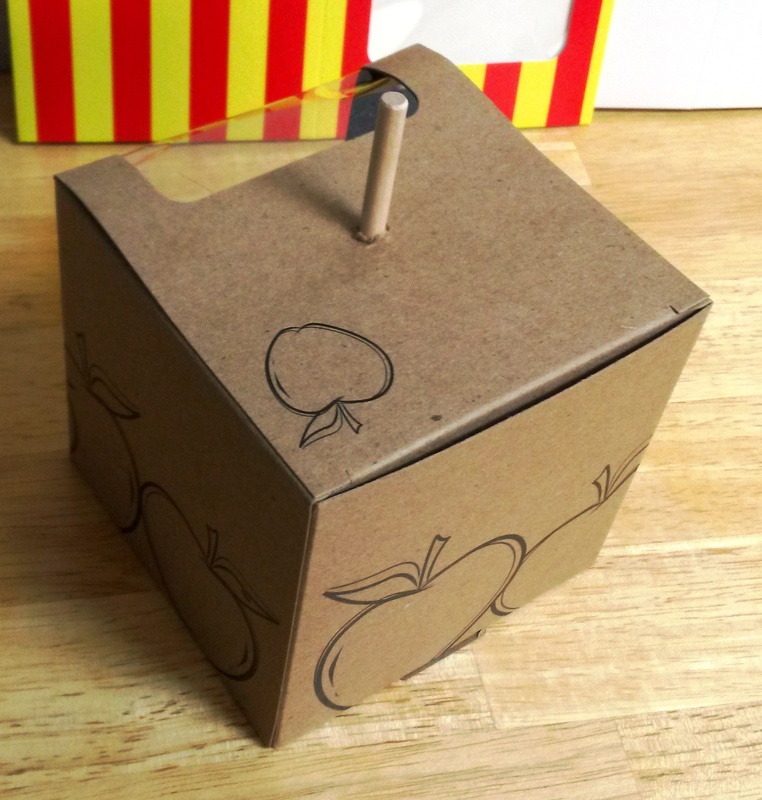 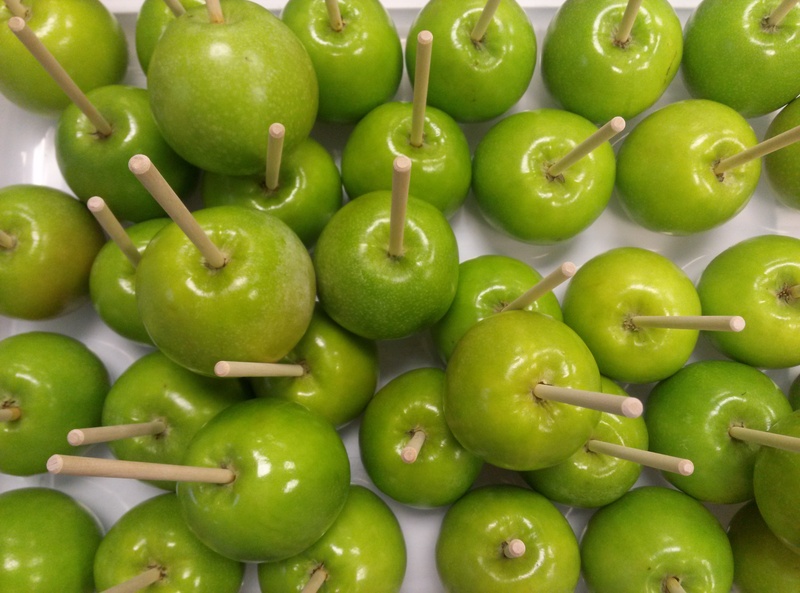 And, of course, some close-ups of the apples!! 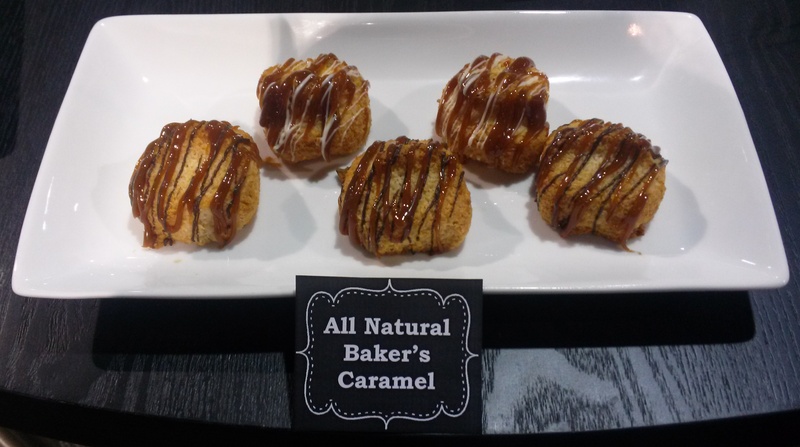 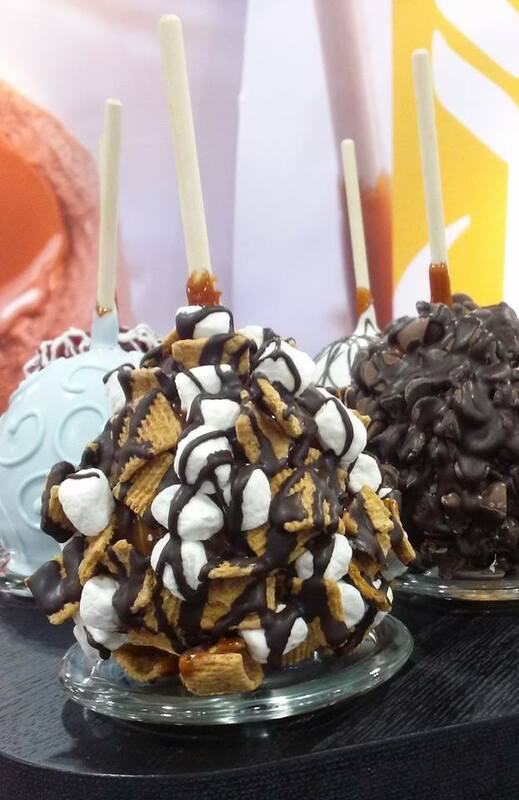 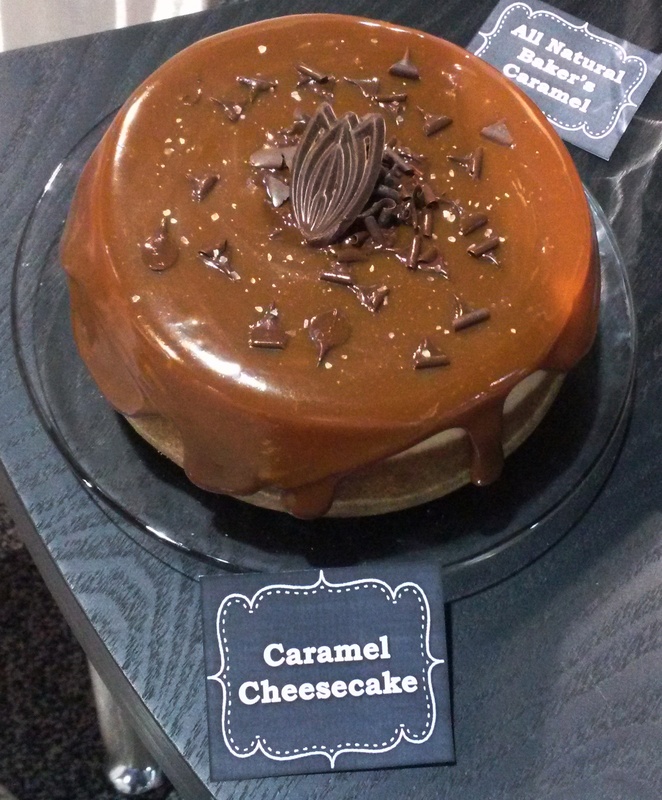 The gourmet caramel apples may have been the stars of the show, but be sure to check back tomorrow for more photos of caramel desserts we had on display featuring our All Natural Baker’s Caramel!! 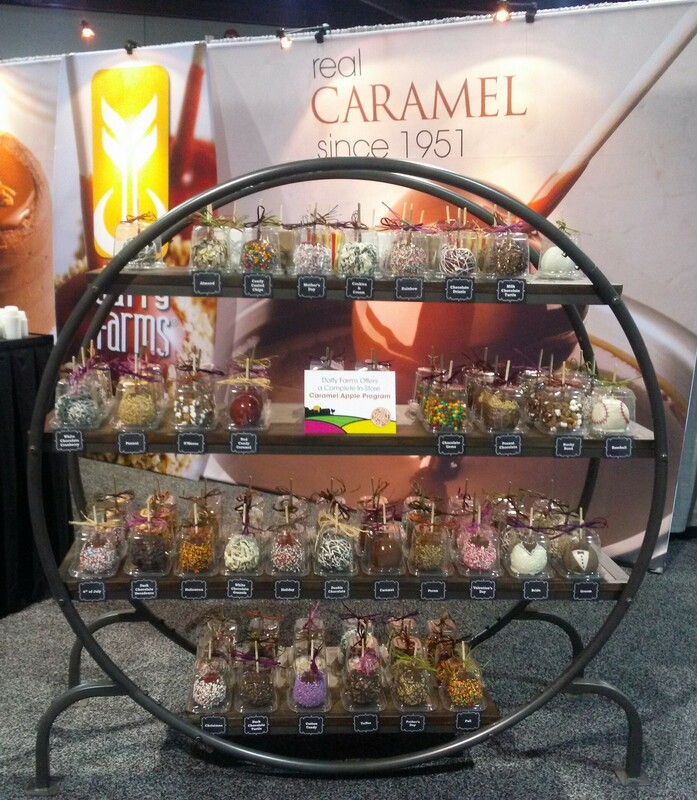 Posted in Bulk Caramel, Daffy Farms, Delicious Pictures, Recipes & Uses, The Daffy Apple and tagged all natural, all natural baker's caramel, all natural dipping caramel, apple, baker's caramel, bakery, baseball, bulk caramel, caramel, caramel apple, caramel apples, chocolate, desserts, dipping caramel, display, gourmet, iddba, trade show, traditional, urban on June 24, 2015 by daffyfarmsblog. 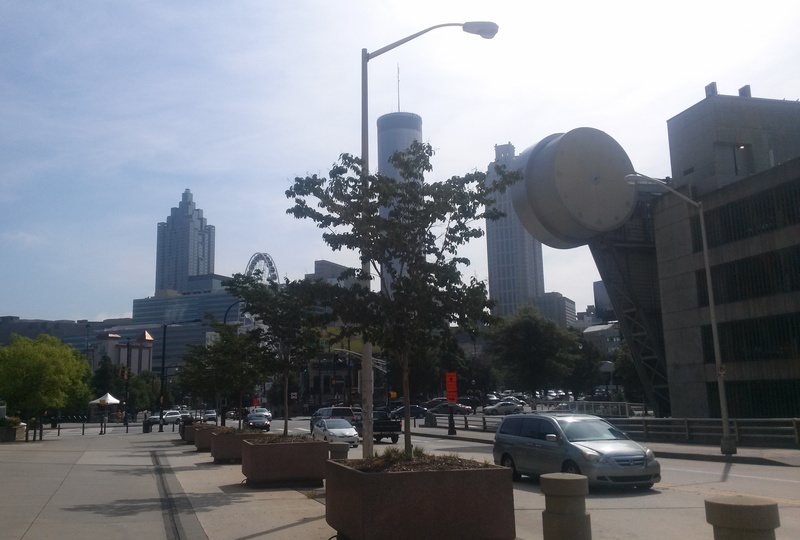 Exactly two weeks ago today (Has it really been two weeks already?!) 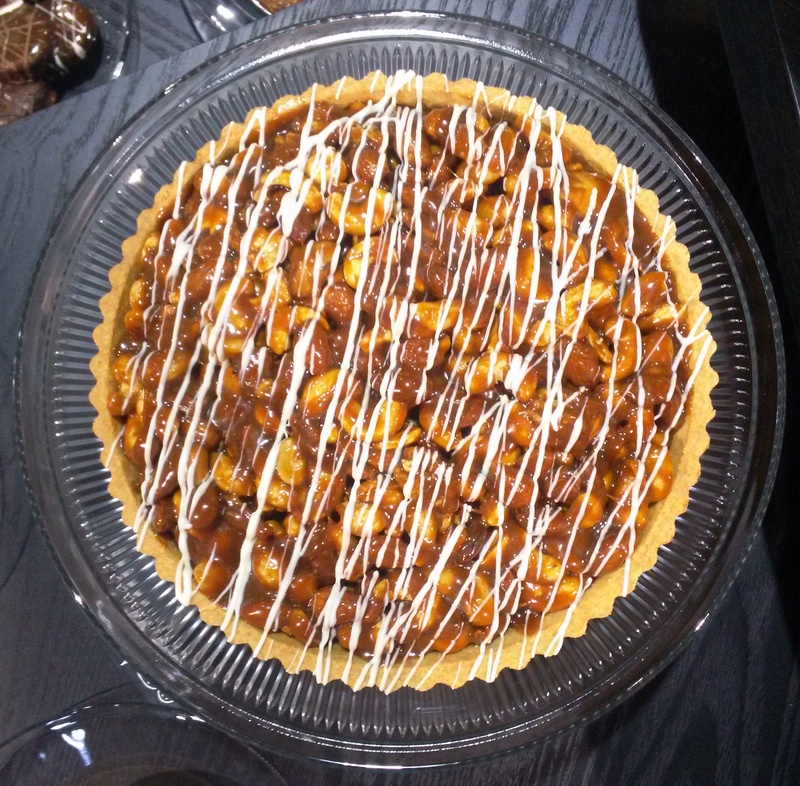 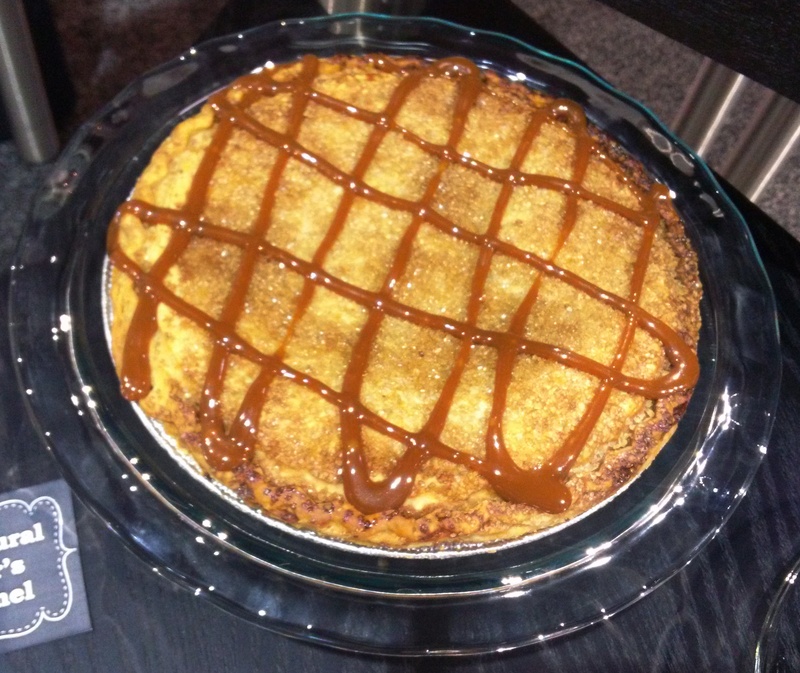 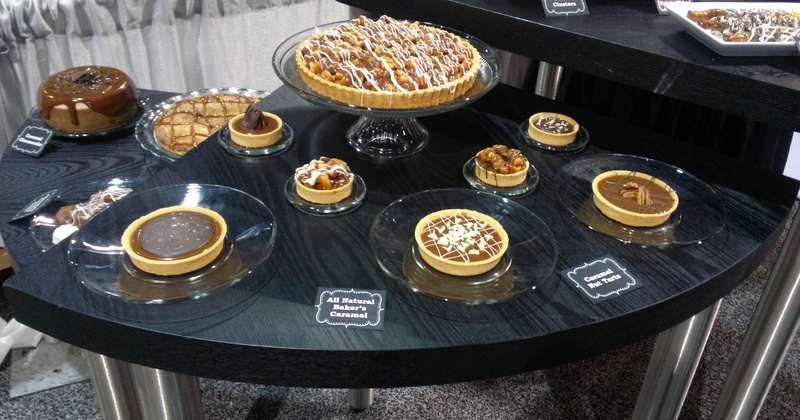 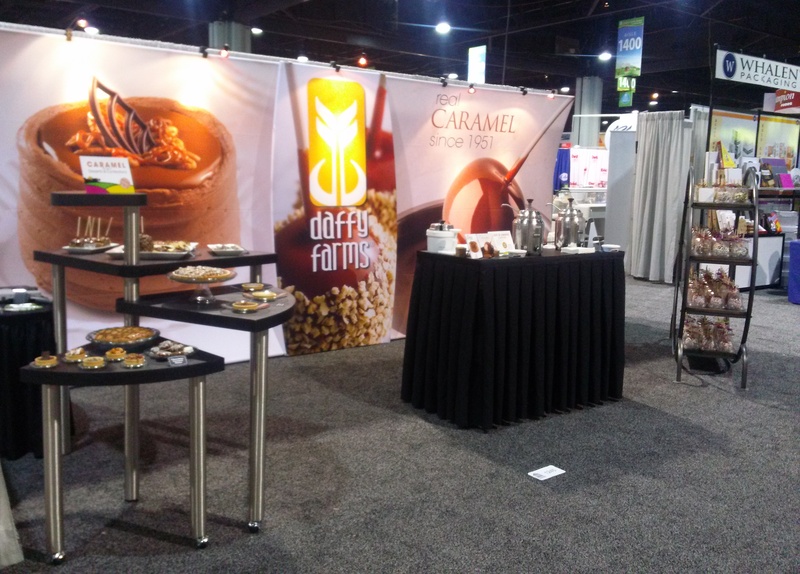 Daffy Farms was wrapping up the IDDBA’s Dairy-Deli-Bake Seminar and Expo at the Georgia World Congress Center in Atlanta, Georgia! 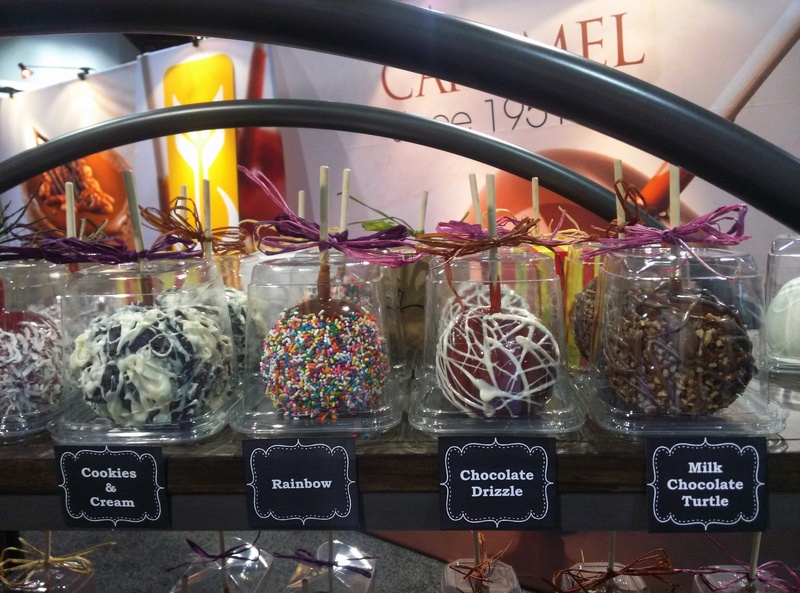 Our second year as an exhibitor at this trade show that offers the newest, best, and tastiest dairy, deli, and bakery products in the industry, we featured our Traditional Dipping Caramel on over 100 handmade gourmet caramel apples, as well as our All Natural Baker’s Caramel on an assortment of gorgeous desserts, and debuted our brand new Daffy Farms Rich & Creamy Caramel, an 8 ounce tub of dippable, pourable, drizzleable, caramel ready to hit retail store shelves this fall! 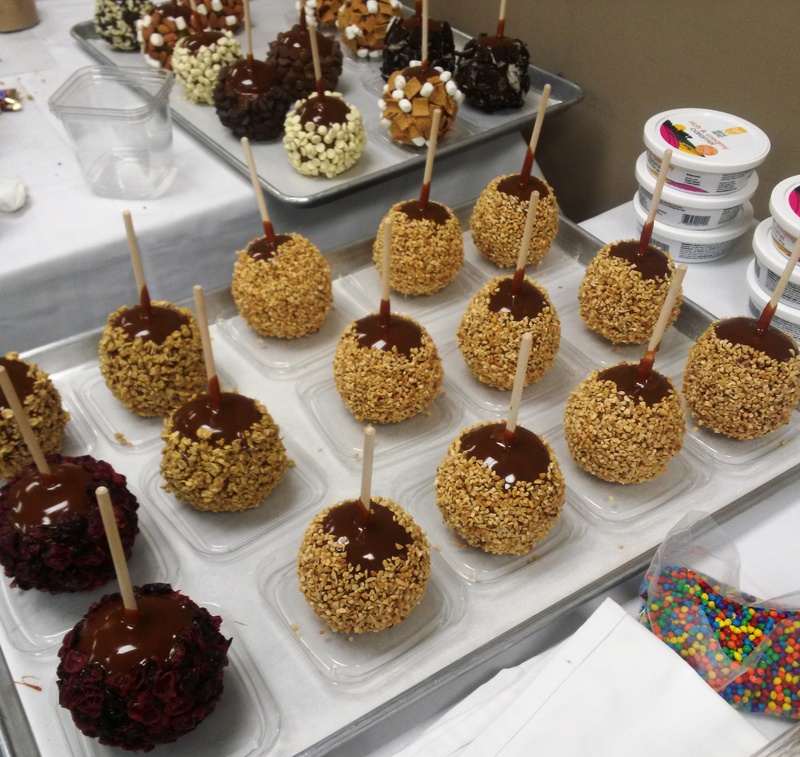 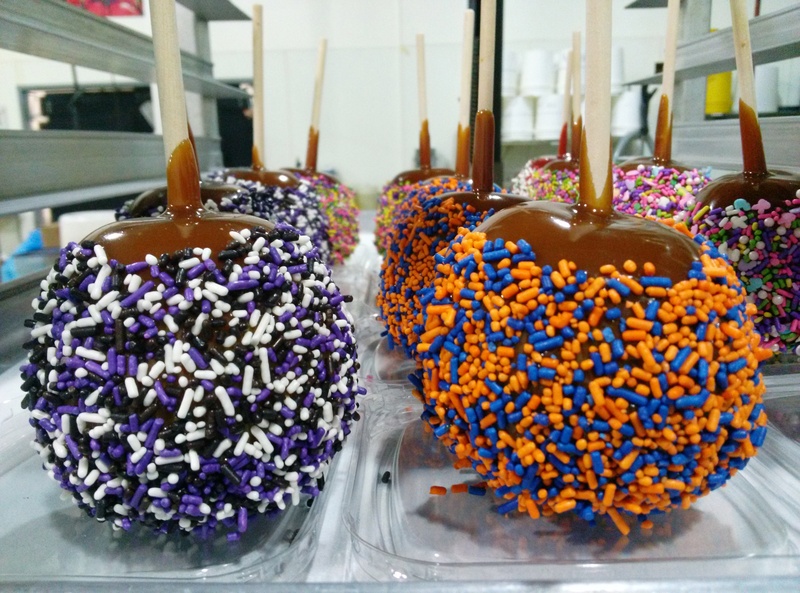 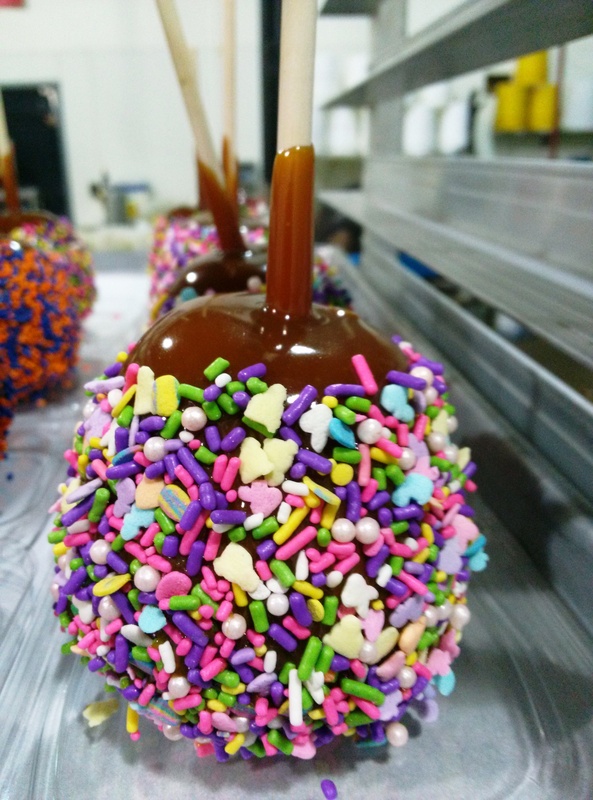 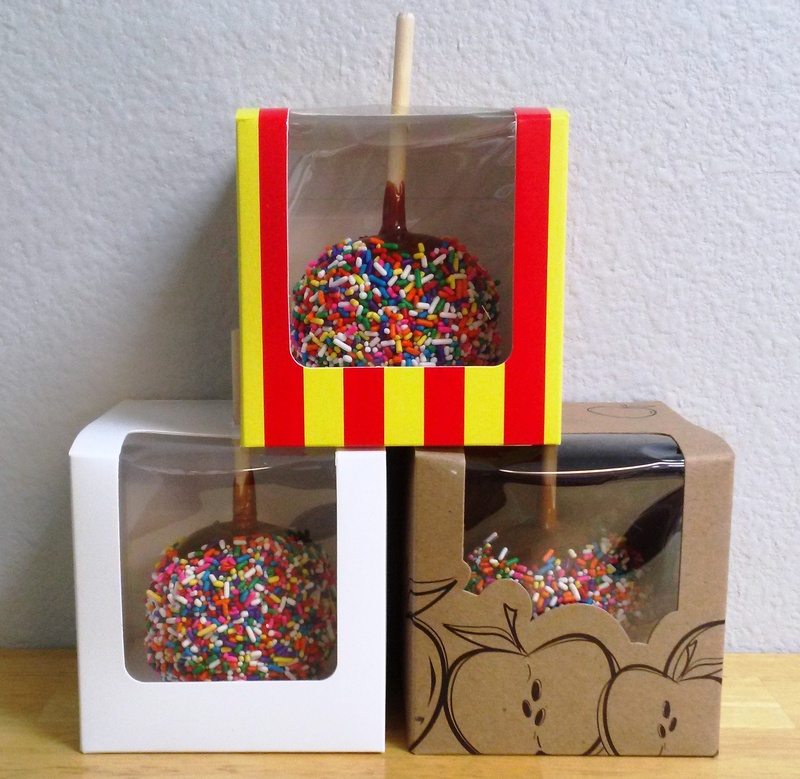 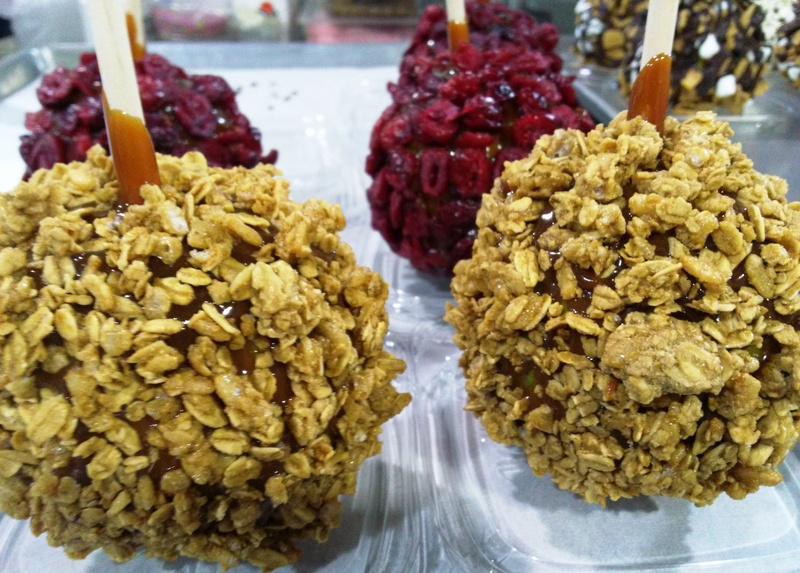 With one day to stick, dip, decorate, and package over 100 gourmet caramel apples, we started early and employed a good amount of teamwork. 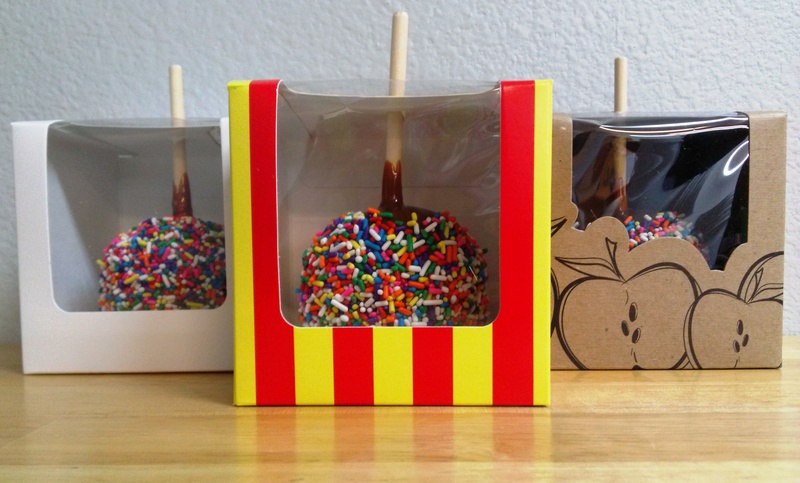 They turned out pretty amazing! 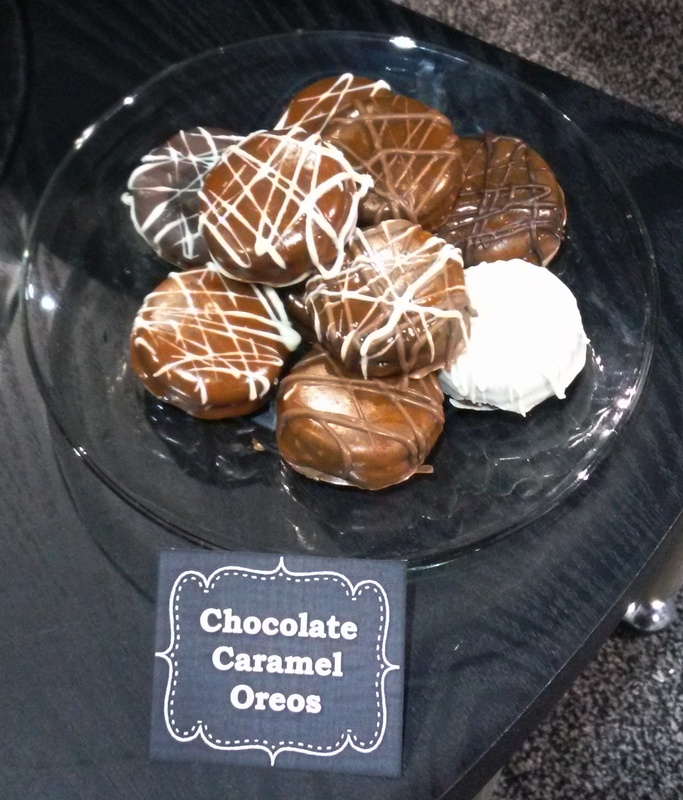 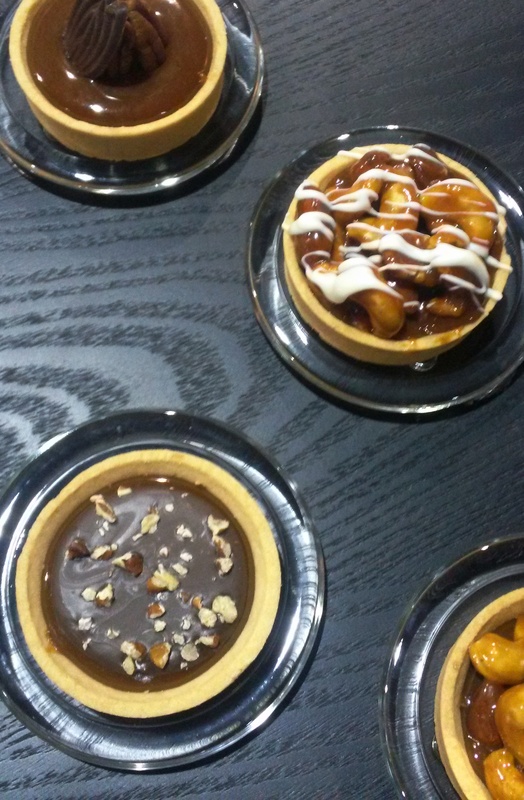 Check back tomorrow for IDDBA: Part 2 to see the results and more pictures from our booth at the show!! 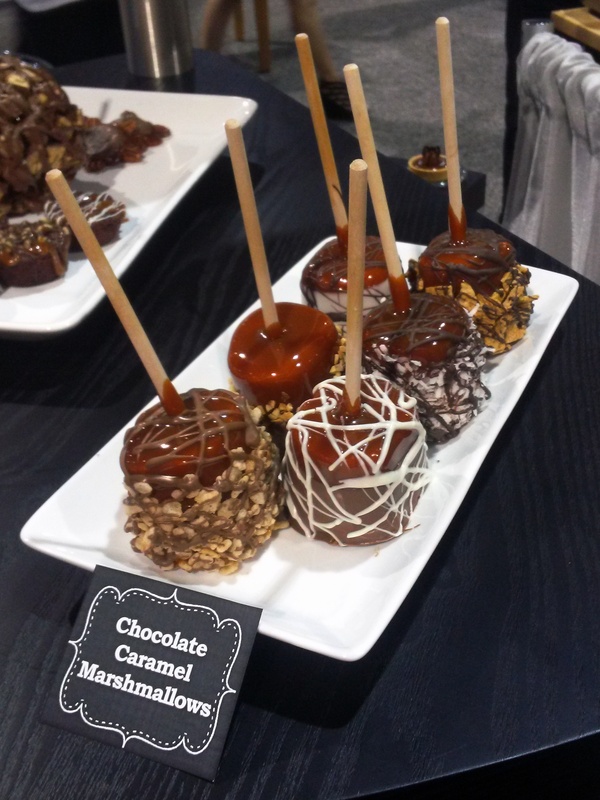 It’s IDDBA Seminar and Expo time again! 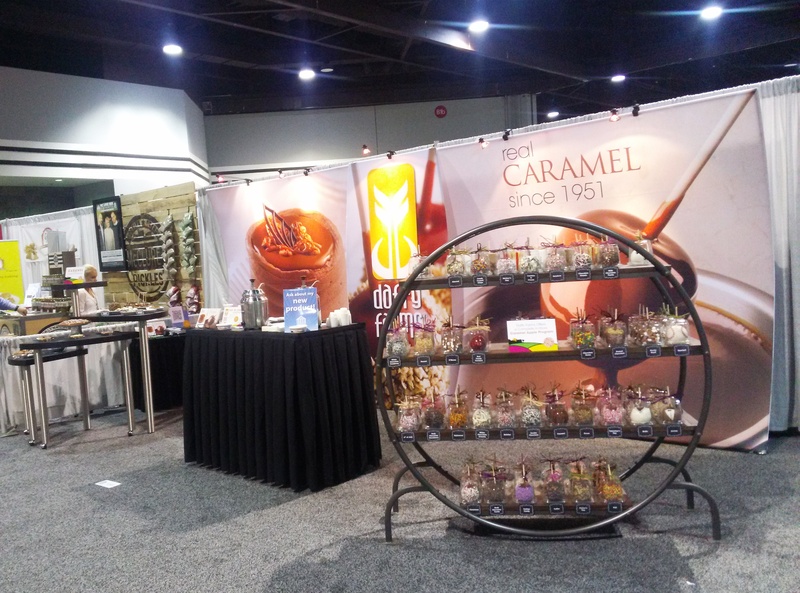 This year Daffy Farms is excited to head across the country to the Georgia World Congress Center in Atlanta, Georgia, June 7-9, 2015, to help everyone with their caramel needs and check out the new trends in the world of food. 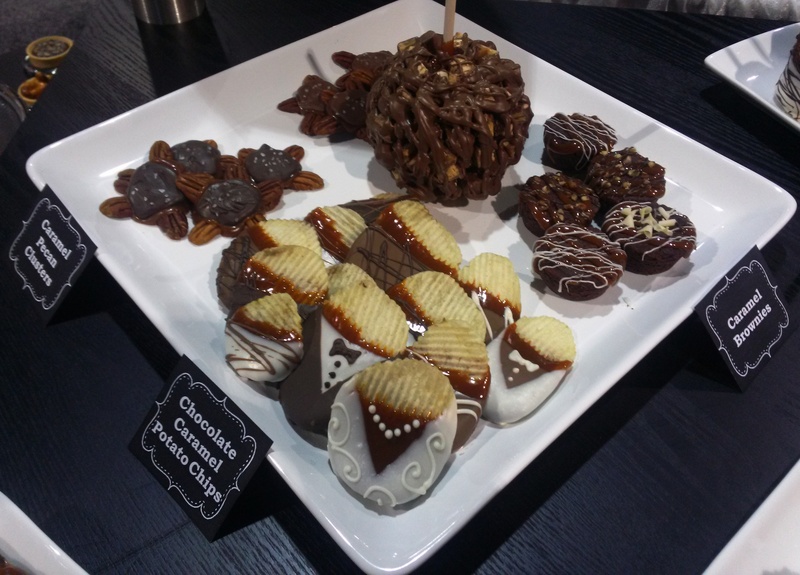 Watch for updates from the show on our blog and Facebook page and take a look back at last year’s show here. 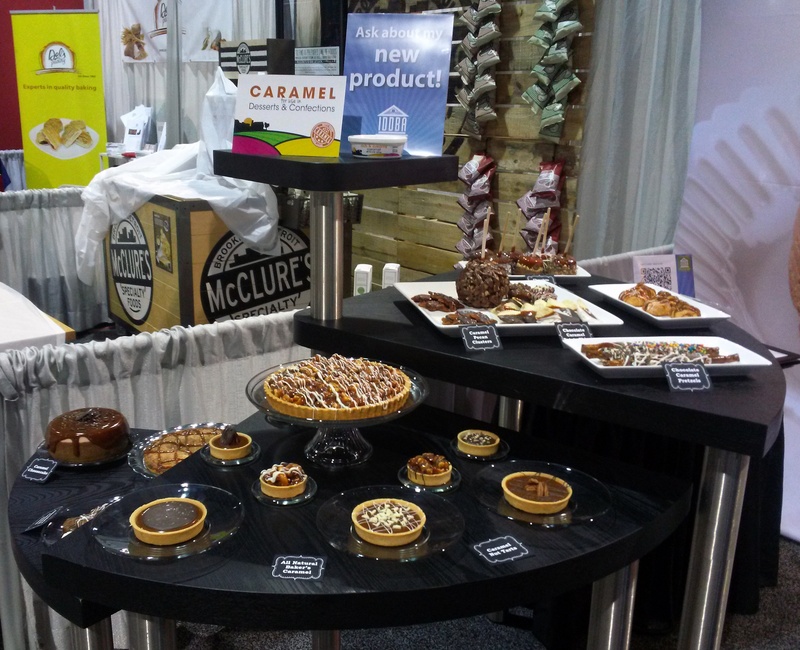 If you’re a member of the dairy, deli, and/or baking industry and plan to attend, stop by and see us in booth #1245! 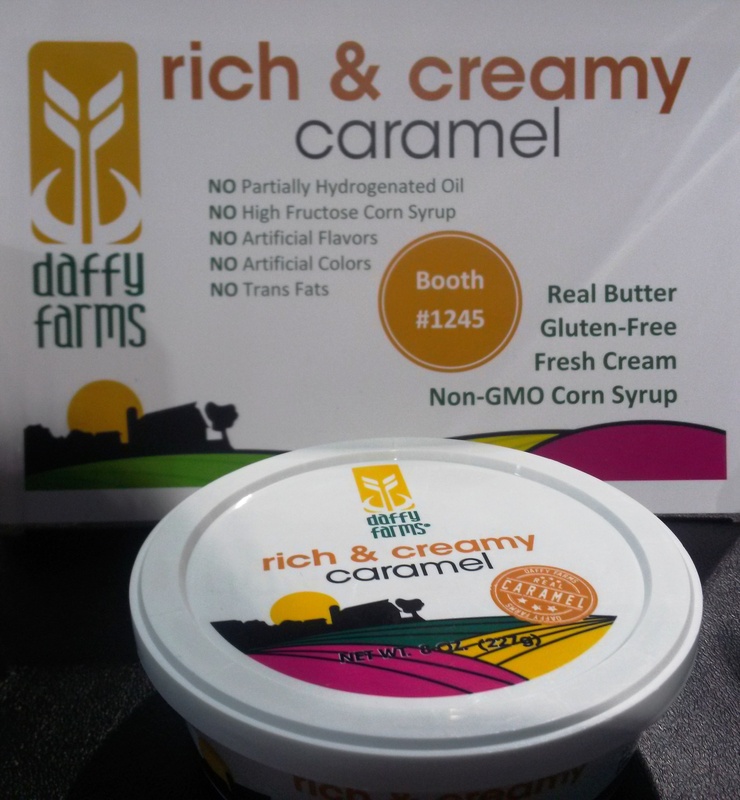 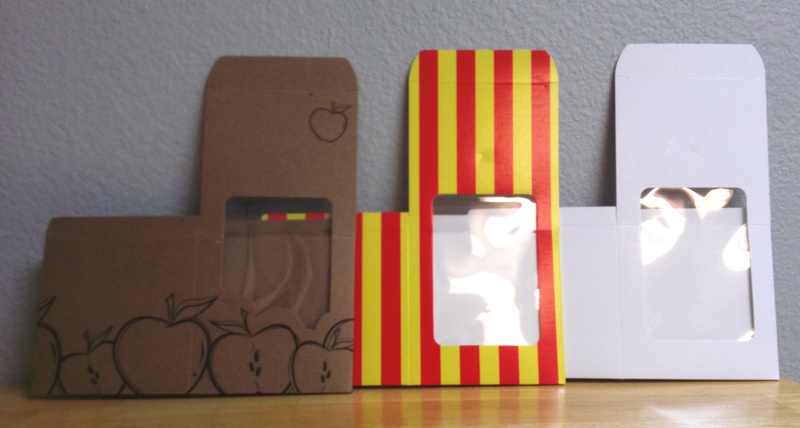 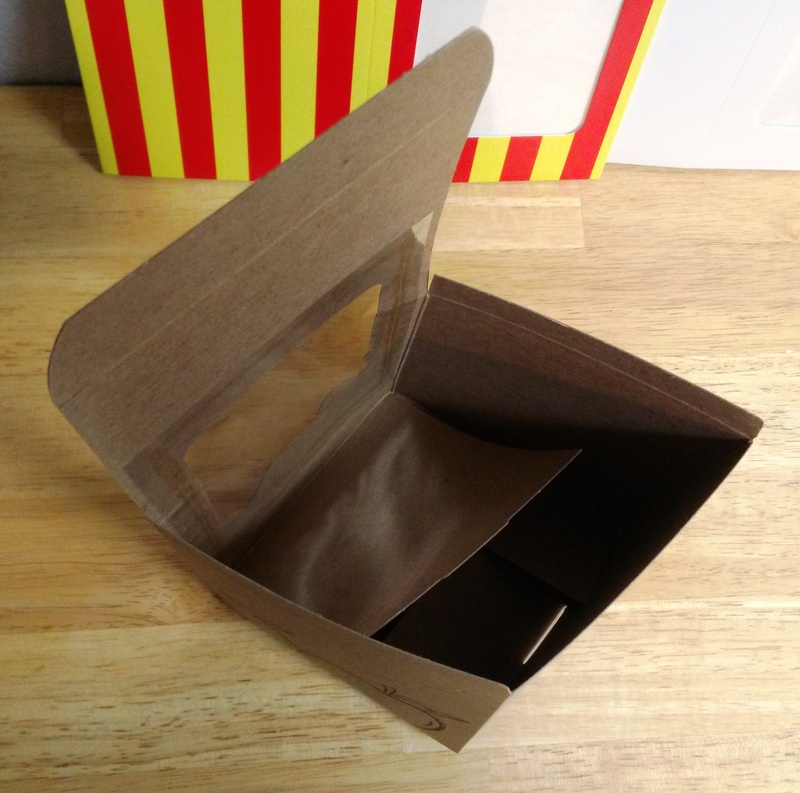 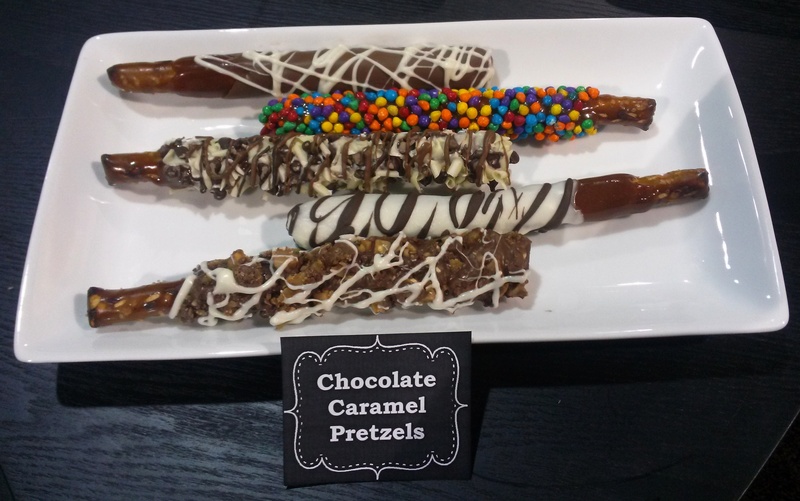 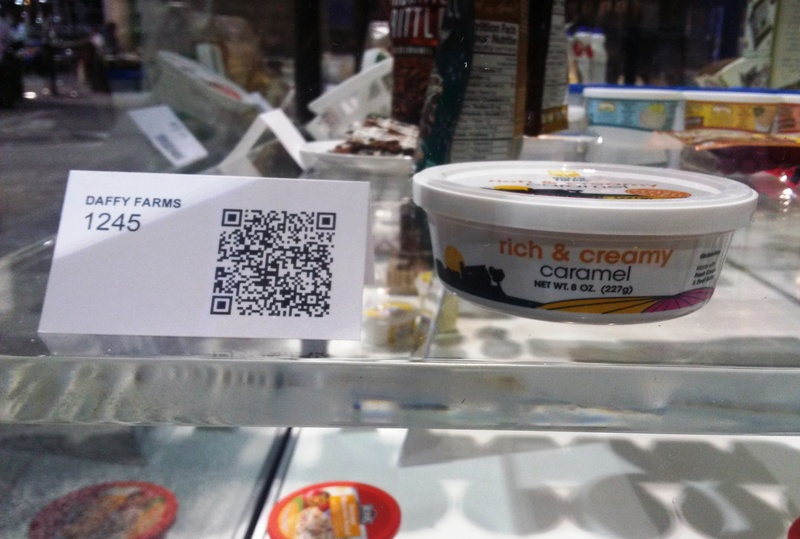 Posted in Bulk Caramel, Daffy Farms, The Daffy Apple and tagged all natural, baker's caramel, caramel, caramel apple, daffy apple, daffy farms, desserts, dipping caramel, gourmet, iddba, trade show on May 18, 2015 by daffyfarmsblog.